Congratulations to Kirsten Murchison, winner of last week's Friday Freebie: The Deep Whatsis by Peter Mattei. This week, The Quivering Pen is giving away a bundle of books. 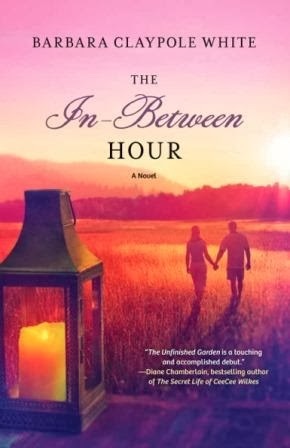 One lucky reader will win a copy of each of the following: The In-Between Hour by Barbara Claypole White, Outerborough Blues by Andrew Cotto, Reunion at Red Paint Bay by George Harrar, and Lighthouse Island by Paulette Jiles. Lighthouse Island is a hardcover, the others are trade paperbacks. Because each of these four novels have great opening lines, I'm going to include their excerpts to give you a taste of what you'll find in their pages. What could be worse than losing your child? Having to pretend he's still alive.... Bestselling author Will Shepard is caught in the twilight of grief, after his young son dies in a car accident. But when his father's aging mind erases the memory, Will rewrites the truth. The story he spins brings unexpected relief…until he's forced to return to rural North Carolina, trapping himself in a lie. Holistic veterinarian Hannah Linden is a healer who opens her heart to strays but can only watch, powerless, as her grown son struggles with inner demons. When she rents her guest cottage to Will and his dad, she finds solace in trying to mend their broken world, even while her own shatters. As their lives connect and collide, Will and Hannah become each other's only hope—if they can find their way into a new story, one that begins with love. Will imagined silence. The silence of snowfall in the forest. The silence at the top of a crag. But eighty floors below his roof garden, another siren screeched along Central Park West. A beautiful young French girl walks into a bar, nervously lights a cigarette, and begs the bartender for help in finding her missing artist brother. In a moment of weakness, the bartender--a drifter named Caesar Stiles with a damaged past and a Sicilian family curse hanging over him--agrees. What follows is a stylish literary mystery set in Brooklyn on the dawn of gentrification. While Caesar is initially trying to earn an honest living at the neighborhood watering hole, his world quickly unravels. In addition to being haunted by his past, including a brother who is intent on settling an old family score, Caesar is being hunted down by a mysterious nemesis known as The Orange Man. Adding to this combustible mix, Caesar is a white man living in a deep-rooted African American community with decidedly mixed feelings about his presence. In the course of his search for the French girl's missing brother, Caesar tumbles headlong into the shadowy depths of his newly adopted neighborhood, where he ultimately uncovers some of its most sinister secrets. 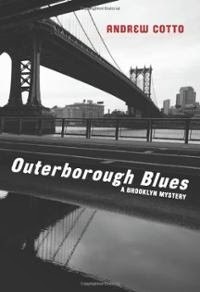 Taking place over the course of a single week, Outerborough Blues is a tightly paced and gritty urban noir saturated with the rough and tumble atmosphere of early 1990s Brooklyn. My mother's mother came to this country in the usual way--she got on a boat with other immigrants and sailed from Sicily. She wasn't one of them, however: neither tired nor poor or part of any huddled mass. Instead, she traveled alone, with her money in one sock and a knife in the other, coming to the new world with an old world motive--to murder the man that had left her for America. Red Paint calls itself "the friendliest town in Maine," a place where everyone knows one another and nothing too disturbing ever happens. Native son Simon Howe is a sturdy family man--a good father and husband--and owner-editor of the town's newspaper. Because there's rarely any real news, he runs stories about Virgin Mary sightings, high school reunions, and petty criminals. One day Simon's predictable and peaceful life is disrupted by the arrival of an anonymous postcard, the first in a series of increasingly menacing messages. He tries to ignore them, but the implied danger becomes more real, threatening to engulf his wife and son as well. The Howe family becomes engaged in a full-scale psychological battle with their unidentified stalker--without even knowing it. Secrets from Simon's past are uncovered, escalating toward a tense and unexpected climax. 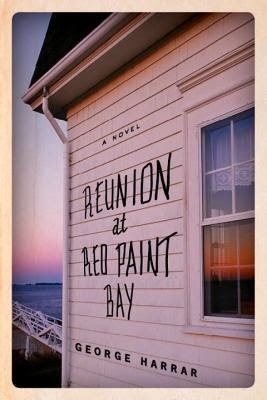 More than a conventional mystery or thriller, Reunion at Red Paint Bay is an exploration of the consequences of guilt, denial, and moral absolutism. Harrar weaves a dramatic and suspenseful tale sure to spur readers into examining the limits of responsibility for one's actions. Simon Howe, editor of the Red Paint Register, drove south toward home, into the fading light. Beyond the rusting sign, as far as one could see into the scrub pine woods, there was no other imprint on the land to suggest what lay ahead. The town sign wasn’t really necessary. People didn’t just happen upon Red Paint. If you took the spur road off the interstate, you probably already lived there and knew where you were going. Simon reached over the gearshift and let his hand fall on the knee of his wife, Amy. She had been quiet for miles, unusual for her, all the way from their dinner at the Bayswater Inn. Maybe she was worrying about their son, home alone for the first time. If there was separation anxiety, he figured it was more on her part than Davey’s. In the coming centuries, the world's population has exploded and covered the earth with endless cities. Animals are nearly all gone. Drought plagues the land and cloudy water is issued by the quart. There are no maps, no borders, no numbered years. On this urban planet the only relief from the overcrowding, the petty informers, and the harsh rule of the big Agencies is the television in every living space, offering dreams of vanished waterfalls and the promise of virtual vacations in green spaces for the lucky few. It is an unwelcoming world for an orphan like Nadia Stepan, abandoned by her parents on a crowded street when she was four with only a drawing of the constellations of the Big Dipper--Cassiopeia's Chair and the North Star--and her mother's parting words: "Look to the North Star, and we will always be there." 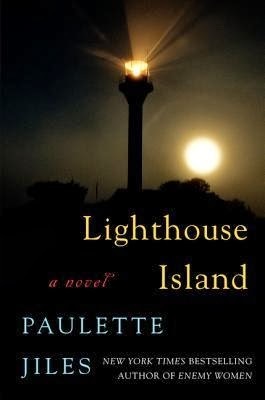 Shuttled from orphanage to orphanage, foster family to foster family, Nadia grows up dreaming of the vacation spot called Lighthouse Island, in a place called the Pacific Northwest where she believes her long-lost parents must be. As her obsession grows, so too does her determination to find her way there. In the meantime, this bright and witty orphan falls into the refuge of old and neglected books; the lost world of the imagination filled with characters who can't disappear, or be arrested, or hurt her. And there is the voice, bounced from an abandoned satellite, that patiently reads, over and over, the great classical books of the world--Big Radio, a sound in the night that lifts Nadia above the relentless television noise and the dull and perpetual Present. Despite deprivation, uncertainty, and the deceptions she must use to survive, Nadia's dream never waivers. "It will get better, life will get better." When an opportunity for escape appears, Nadia takes it, abandoning everything to strike out for Lighthouse Island in a dangerous and sometimes comic adventure. She faces every contingency with bottomless inventiveness and meets the man who changes the course of her life: James Orotov, a mapmaker and demolition expert. Together, they evade arrest and head north toward a place of wild beauty that lies beyond the megalopolis: Lighthouse Island and its all-seeing eye. The winds carried dust to every part of the great cities; left it on roofs and windowsills and uneven streets. It scoured glass to an iridescent glaze. The city covered the entire earth, if people think of the earth as "where I live." At night, the wind sang through the abandoned upper floors of buildings with a noise like oboes and this erratic music could be heard at street level where people walked in the heat to their work in offices and in the recycling dumps and the cement works, to work on the pumps that kept the water, contaminated with gypsum from Silurian seas, flowing through the pipes. In the interstadial spaces between the borders of gerrymanders, prisoners painfully attended the cactus fields and soybean fields. Put FRIDAY FREEBIE in the e-mail subject line. One entry per person, please. Despite its name, the Friday Freebie runs all week long and remains open to entries until midnight on Jan. 30, at which time I’ll draw the winning name. I’ll announce the lucky reader on Jan. 31. If you’d like to join the mailing list for the once-a-week newsletter, simply add the words “Sign me up for the newsletter” in the body of your email. Your email address and other personal information will never be sold or given to a third party (except in those instances where the publisher requires a mailing address for sending Friday Freebie winners copies of the book). So thrilled to be a Friday Freebie on The Quivering Pen. Sadly THE IN-BETWEEN HOUR is not about OCD (that was my debut, THE UNFINISHED GARDEN). For some reason, the wrong feed when out to all the booksellers (the life of an author is never dull). However, THE IN-BETWEEN HOUR is about searing grief--and what it means to be a family. Ack! Sorry about that mistake, Barbara. I'll fix it right away.